Spring has finally sprung, and with it comes the urge for many property owners to get started on projects they have dreamed about all winter long. One of the most important requirements to research before you actually begin is whether or not you need a building permit. 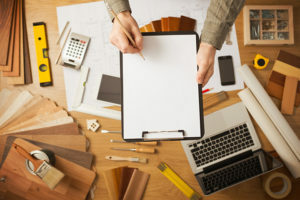 Even if your project is not a huge one, a building permit may still be required, so familiarizing yourself with the process can head off serious problems or complications down the line. Do I Need a Virginia Building Permit? The first step, of course, is to find out if you actually need a building permit for the specific work you plan on doing. For the most part, if your project includes basic work primarily done indoors, you will not need a permit to get things going. For example, jobs like replacing windows or doors, putting in low-voltage wiring systems and installing kitchen cabinets require no official sanction like a building permit. Some work outdoors is also allowed without having to jump through any legal hoops. Repaving your driveway, replacing your gutters, re-roofing and residing and fencing are all excellent and applicable examples here. Actual construction of an on-grade patio can also be done without a permit, as well as installing a flagpole that reaches no farther than 30 feet in the air. There are, however, many projects that do require a building permit are most often ones that have the potential to be troubling to neighbors and that reshape the landscape in any significant way and where occupant or user safety is a concern. Adding on a new porch or deck, for example, will always need a permit before work is started, given that regulators need to know that those who use the deck will be safe. Any additions whatsoever are also in this category, as well as installing a sump pump or even outside stairs. A building permit should also be acquired if you plan on installing gas or electric appliances, sheds or playhouses, swimming pools or new plumbing fixtures. For more information building in your home, please visit our Residential Services page. Now that you have identified whether or not you actually need a building permit, the next step is to determine if you should do the work yourself, or hire a contractor in your place. This question depends heavily on your personal skill level and how difficult the project in question is, so the answer is highly subjective. However, according to Virginia law, if the project is over $1,000 in costs, only someone with a valid Virginia Contractor’s License may perform the work. Licenses come in three different classes and can be obtained from the Department of Professional and Occupational Regulation (DPOR). Of course, if you are teetering right on the edge of that dollar value, you can substitute things like premium gravel for equally-suitable free fill dirt to avoid hiring an outside worker. According to Virginia law, if the project is over $1,000 in costs, only someone with a valid Virginia Contractor’s License may perform the work. If you opt to hire an outside contractor, be sure to list his name when acquiring the building permit. While this is not mandatory, it helps to establish proof of responsibility if anything were to go awry. Listing their name will also allow the state to verify the contractor’s license is in good order, information that can be difficult to obtain on your own. If the contractor balks at obtaining the permit, or asks for it solely to be in your name, these may be indicators that they are unlicensed and should not be used. 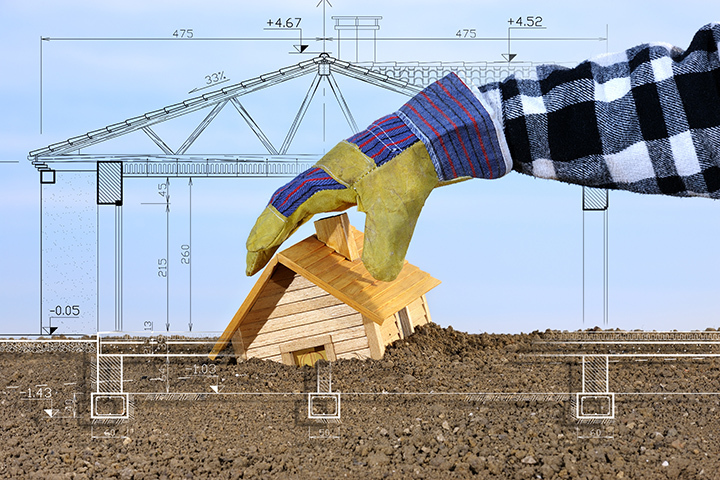 How Much Are Virginia Building Permit Fees? As you would expect, a building permit is not free. Depending on which type of project you have before you, you can expect one or more fees to be charged in order to obtain the proper paperwork to launch your work. The base fee is usually under $50, and is applicable to most home or business projects. There are, however, additional fees you may stumble across if the work you want to do is more involved. For example, if a site inspection is needed, where a representative comes out to look things over to ensure everything is up to snuff, can easily triple the original base fee. Additionally, things like the installation of electrical systems may require a fee to the fire marshal, while the connection of a sewer system to the main lines can run thousands of additional dollars. Another common fee is for resubmitting your plans if they did not achieve approval the first time, so be sure to have all your ducks in a row before you visit your local administrative building. Application for the proper building permits kicks off the start of what is usually an easy process. Expect to answer questions dealing with the specifics of your project, such as what it entails and where it will be performed. As much of the advisement on which permits to acquire depends heavily on your project’s specifics, be sure to provide as much detail as possible to the representative you are working with. 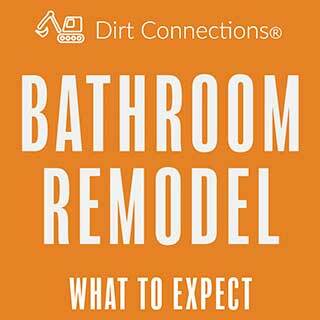 A review process follows the application, usually one that takes about a day for most residential projects. Be prepared, however, if your project requires more involvement, as it may take additional time to ensure that your plans meet all applicable building codes. Once your fees are paid and the application is approved, you are issued your building permits. As you can see, as long as you are well prepared, the process is relatively easy and painless. 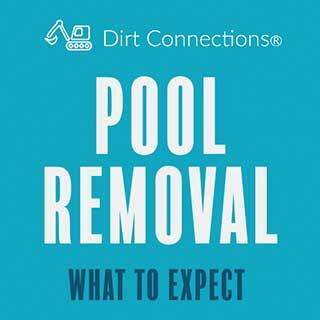 Contact Dirt Connections Today for More Information! If you are contemplating using the nice weather for new construction, or add-ons to existing buildings, be sure that you are always armed with the proper permits. Not only is the process of acquiring one a simple and inexpensive matter, it can save you a ton of headaches from legal trouble down the line. 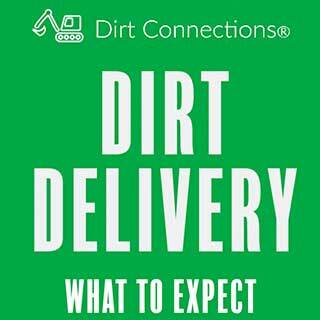 If you would like more detailed information on any other questions on getting started with residential construction or commercial construction projects – contact Dirt Connections by sending a message online or giving us a call today.